What makes the purchase interesting and potentially troublesome is that Microsoft is the world’s largest proprietary software company, and GitHub is the world’s largest open source hosting service. The natural question on everyone’s mind then, is what does this mean for open source? Is it doomed? Is it soon to go the way of the dinosaur, or will Microsoft hold the reins of power loosely and let open source continue to flourish? The fear is that Microsoft will start strangling those developments and insist that GitHub begin using proprietary Microsoft products. While it’s too early to say for certain, the early indications are encouraging. Microsoft has stated that GitHub will be allowed to retain its status as an “open platform” and its service will continue to be offered for free. Having said that, there will be some changes, including the fact that Microsoft will be offering integration between its AppCenter mobile testing service and projects hosted on GitHub. This builds on previous collaborations between Microsoft and GitHub. 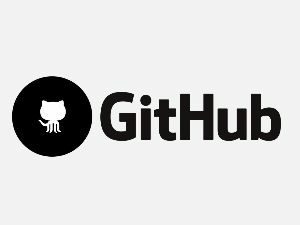 Last year, GitHub announced that they would support Microsoft’s “Git Virtual File System,” which the company designed for enterprise-sized data repositories. The skeptics are right to be skeptical, but so far, the early indications are positive. Note that it’s not a done deal just yet. The merger is subject to regulatory approval in both the US and the EU. *GitHub Survived the Biggest DDoS Attack Ever Recorded“. Wired.com. Retrieved 2 March 2018.